Careers in Information Technology are steadily growing, and what better way to train for a new career than to prepare for three respected certifications in one convenient online program? This program will help you build the foundational knowledge needed for employment in cutting-edge IT roles. Along with learning the fundamentals of IT, you'll study a range of related disciplines, including building and managing a data network, troubleshooting networking issues, routing and switching, risk assessment, and data recovery. 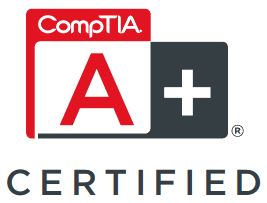 This program will prepare you for CompTIA™ A+, Security+ and Network+ certifications. These credentials will assure employers that you are competent in PC troubleshooting and repair, in addition to validating your skills in security and network concepts. You will demonstrate competence with topics such as security attacks, mitigation, and disaster recovery, in addition to mastering skills that involve network design, routing, and switching. This part of the program prepares you for the CompTIA 220-901 certification exam and builds practical job skills for computer hardware, networking and mobile devices. These skills include the installation, maintenance, and troubleshooting of common devices such as desktops, laptops, network and wireless devices, printers, and monitors. You’ll master the installation and troubleshooting of common components such as CPUs, memory, disks, power supplies, and expansion cards, as well as gain valuable practical knowledge of security concepts, customer service, and business processes. This part of the program will prepare you for the CompTIA 220-902 exam. You will learn to compare and install various operating systems, setup and use client-side virtualization and SOHO networks, and troubleshoot PC and mobile device operating systems. These are the skills expected of an entry-level IT technician who will have a high level of interaction with clients. CompTIA™ Network+ is the networking certification that employers look for when hiring technicians. It is the starting point for a career in networking and this course will help you master what you need to know to pass the CompTIA™ Network+ exam. This online training covers multiple topics and allows you to practice in virtual interactive lab environments. You'll master basic networking concepts and learn about network design, security, cloud computing, forensics, advanced IP addressing concepts, routing, and switching. Next you will gain the skills required to be a security professional, and prepare to take the CompTIA™ Security+ certification exam, as you master the basics of system security, network infrastructure, access control, and organizational security. Once you complete this program, you'll be proficient in basic security concepts such as attacks and mitigation, security applications, risk assessment, disaster recovery and incident response, cloud computing, mobile devices, BYOD and SCADA, in addition to vulnerability assessment. 1. Objective 5.6: Explain disaster recovery and continuity of operation concepts. This program can be taken on either a Mac or a PC. You'll need to have e-mail capabilities. Note: The Online Lab System is compatible with PC and Mac computers. All students are provided detailed instructions for setting-up a home virtual lab system as well. To enroll in this program, you should have basic knowledge of computer hardware and operating systems—for example, how to power up and log on to a machine, how to use a mouse and keyboard, and basic Microsoft Windows navigation skills. This program is for you if you're interested in pursuing a career in information technology, specifically related to PC technology, networking and security. This program will prepare you obtain a CompTIA™ A+, Network+, and Security+ Certification designations. Chintan Thakkar. Chintan has 10+ years of teaching and instructional designer experience in Information Technology. His areas of expertise include networking, and server and storage systems management. He has also developed complex software using various programming languages. From an instructional design and teaching perspective, Chintan is focused on (Cisco) CCNA, Networking, Server, and Cloud Computing courses. Chintan holds a Master of Science in Computer Science from Southern Methodist University, in Dallas, Texas, and earned his Bachelor of Engineering Degree in Computer Engineering from South Gujarat University in Surat, India. Laurel Eismann. Laurel has over 20 years experience in Information Technology, curriculum development and teaching. In addition to her extensive teaching background, Laurel's experience includes instructional design, programming, business requirements analysis, and quality assurance. She couples this experience with a strong and diverse technical background. Laurel holds a Bachelor of Business Administration in Computer Information Systems from Fort Hays State University in Hays, Kansas. 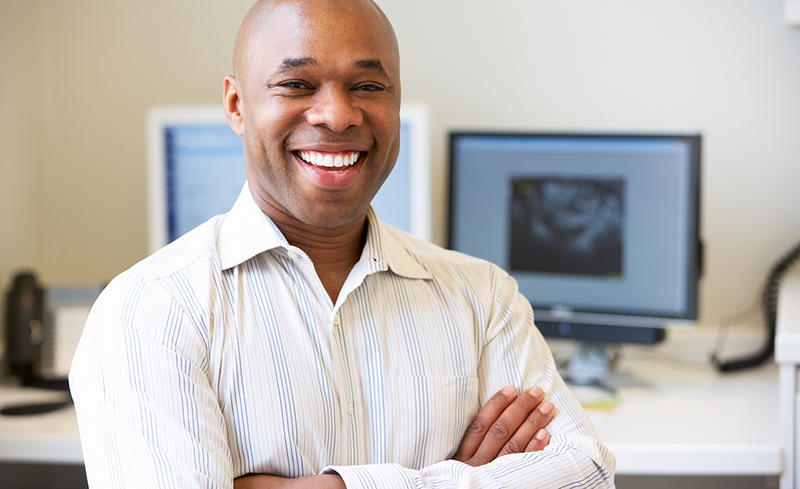 All of our programs are self-paced and open enrollment. You can start and finish the program at your own pace. When you register for a program, you are given 12 months to complete the program. All materials you need for the program are included. The cost of materials is covered by your tuition. ed2go ships all materials via UPS ground service upon registration. However, please note that we do not provide computer hardware as part of your course. We will assist you in seeking out free hardware components and trial editions of software applications to assist you in completing your applied activities. 10. How do I do the applied labs if I don't have equipment? 11. Can I use a Mac? 12. How can I get more information about the program? If you have questions that are not answered on our website, please feel free to contact us via LIVE chat (click the button toward the top of the page). If you are visiting us during non-business hours, please feel free to send us a question using the "Contact Us" form to the right. You may also call us at 1-855-520-6806 1-855-520-6806 FREE FREE FREE. We will answer your questions promptly. 13. When can I start the program? 14. Do the CompTIA programs get me prepared for actual certification? Yes, this program currently prepares for the CompTIA™ A+ Exams 220-901, 220-902, CompTIA™ Network+ Exam N10-007 and CompTIA™ Security+ Exam SY0-501.